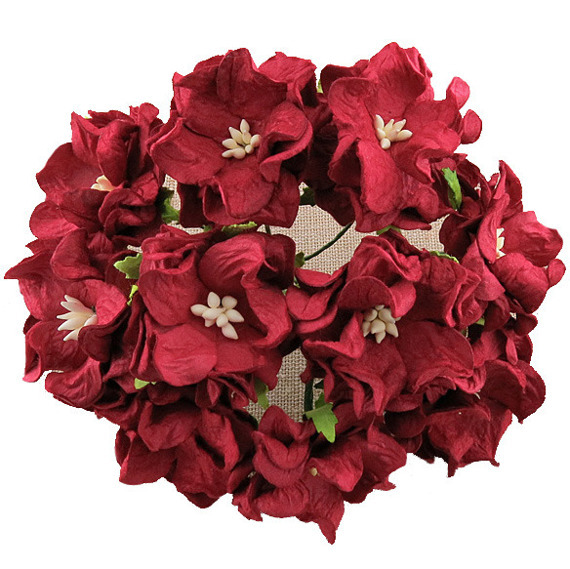 Deep red gardenia flowers handmade from fine quality mulberry paper. Each flower has a long thin bendy green wire stem that is 6 - 7cm long (2¼" - 2¾"). 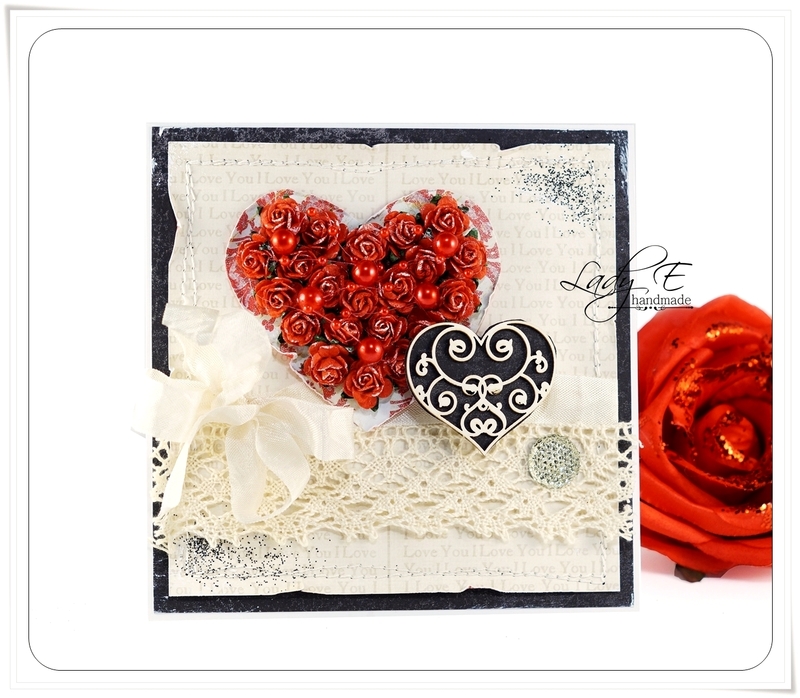 Each pack contains 5 flowers.